If 1 amps current flows through the conductor in 1 hour, 3600 coulomb charge will be utilized. The amount of charge in the battery is represented in Amps hour (Ah). That is Amps times Hour. It is the amount of charge present in the battery. But Amps hours cannot be used to measure the charge level, since the voltage changes during discharge. So the measure of charge is Watts Hours. 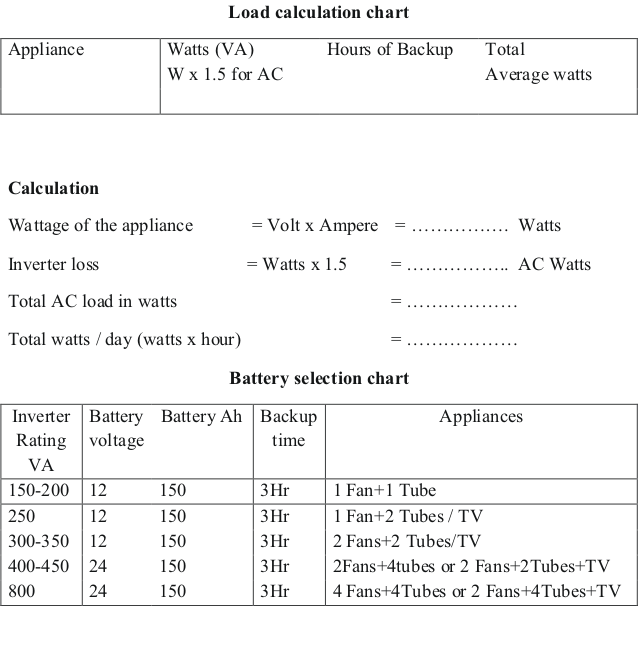 Watt hour can be calculated by multiplying the nominal voltage with the battery capacity in Amps hours. E = C x Vg. where C is the capacity of the battery in Ah and Vg is the discharge rate. The following equation tells you, how much battery charge is required for your load. It is not a good practice to discharge the battery completely till the load shut off. Stop running the load, if the battery charge reduces to 20%. 2.88Ah / 0.8 = 3.6Ah. Lead acid batteries have few Amps hour if the discharge rate is fast. 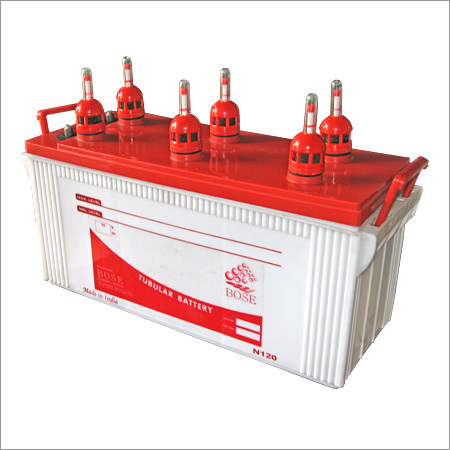 Generally, the lead acid battery is rated for 20 hours discharge rate provided the discharge rate is slow. At high discharge rate, the capacity of the battery drops steeply. Suppose the battery is 10 Ah and its discharge rate is 1C. One hour discharge of the battery at the rate of 1C (10 Amps in 1 hour), the capacity reduces to 5 Ah in one hour. So the following tips will guide you to keep a steady discharge rate of the battery. C = It = 20A x 1 Hour = 20Ah. 25 Ah / 0.5 = 50 Ah. Hence as a rule of thumb, it is better to use a 50Ah battery to run the load at 20 Amps per Hour to keep 50% charge in the battery. 3600 is the total seconds in 1 hour. In short, if the load is not drawing the charge in a steady manner, the capacity of the battery will be increased. How to calculate the charge? It is difficult to measure the current drawing by the load at different times. The easy way is to consider the power rating (Watts) of the load. Suppose the power rating of the load is 250 watts and is drawing current from the inverter system for 5 hours. Then, its Watts hour is Watts x Hour = 250 x 5 = 1250 Watts hour. Consider the efficiency of the inverter as 85 %( no inverter is 100% efficient). So the load has 1470 watts hour instead of 1250 watts hour. Thus to run 1470 watts load, minimum capacity of the battery should be 125Ah to run the load for 5 hours. As already stated, it is better to use a 150 Ah battery to keep discharge cycle 50%. 12 volt tubular battery has a terminal voltage of 14.8 volts in fully charged condition. Usually the inverter has cutoff facility to protect battery from deep discharge. Most of the inverters are set for 80 % (Retaining charge) cutoff voltage. That is after 20% discharge, inverter will shut off. Ah of battery = watt hour / volt = 1500 / 11 = 126 Ah. In short, an 800 VA inverter with 126 Ah battery can power 500 watts load for 3 hours. Very useful and informative post!! The information given in this blog is about inverter battery and very informative to me and excellent information is shared.